Today we’d like to introduce you to Melissa Schulman. In 2011, I left a corporate job I had for 11 years. I was fortunate to take a year off from my career as a project manager and decided to take a yoga teacher training to fill myself up emotionally, physically, and spiritually. In addition to the teacher training, I worked at Burbank’s popular Yoga Blend yoga studio’s front desk, took workshops, took loads of classes, taught yoga, went on retreats, and generally immersed herself in everything yoga. I call it my “yoga bubble” year. It was the best year of my life and also the year that the idea of Yoga-urt was born. The yoga-yogurt connection began at a simple lunch with my cousin in 2011. He was teasing me about being a yoga teacher and went off on a riff about yogurt being created before yoga. I said multiple times that he was wrong, but every time, he would come back with a silly reason why he was right — and I was wrong. Forty-five minutes later, my cousin topped off his jokes by saying, “Why don’t you teach yoga and serve yogurt and call it ‘Yoga-urt’”. We laughed and then went on our merry ways. However, I could not forget ‘Yoga-urt’. Something about it captivated me and I actually started to think about what a ‘Yoga-urt’ place could be. I started researching the yoga and yogurt industries online and became more excited and somewhat obsessed! 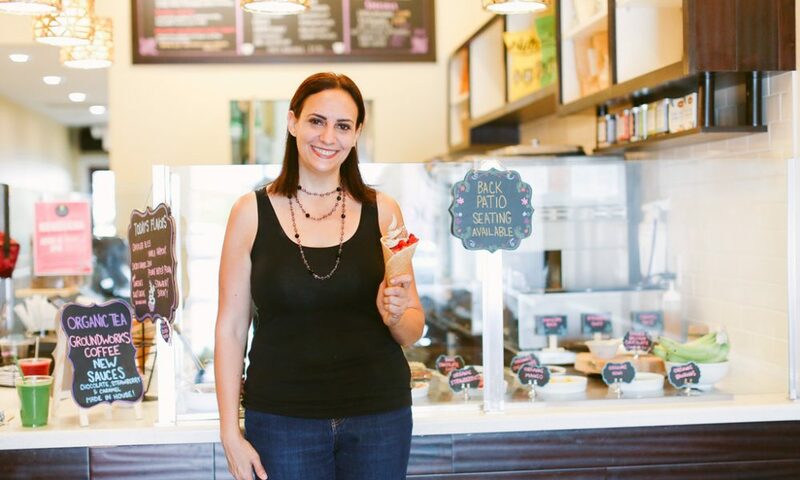 Developing Yoga-urt took close to 4 years of research, building my business plan, and finding funding, although I was turned down many times, including by my family. 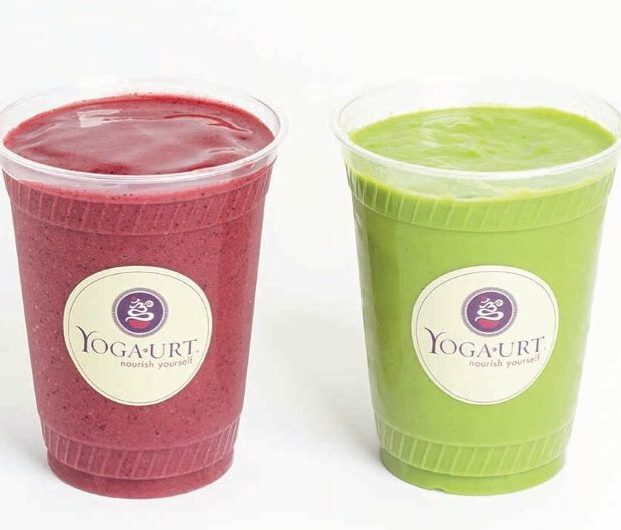 I worked closely with Pacific Coast Regional Small Business Development Center (PCR-SBDC) and SCORE, both part of the Small Business Administration (SBA) and dedicated to helping launch small businesses, which nurtured my entrepreneurial skills, and it was ultimately PCR-SBDC who helped finance Yoga-urt. In 2014, I was able to hire a team to start R&D on the product and in 2015, I was able to open the store in Glendale. It has definitely not been a smooth road. 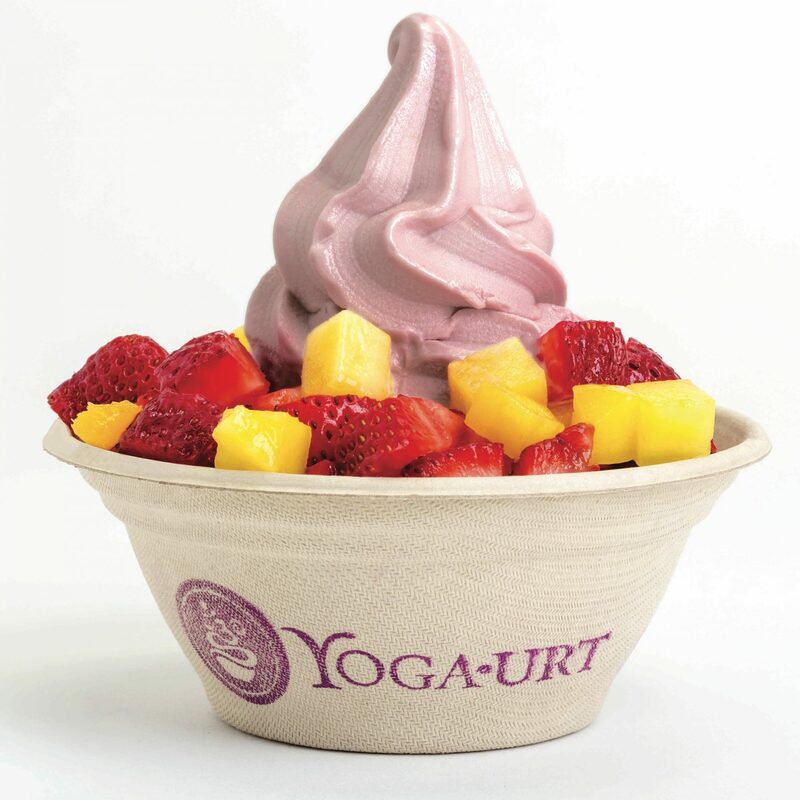 In the beginning, when I was working on my business plan in 2011/2012, I had no money to move Yoga-urt forward. It wasn’t clear if Yoga-urt was ever going to become a real place or not. I had to go back to the corporate world, mostly working 2 jobs to save as much money as I could in hopes of getting a loan to cover the rest. And it continues to be hard financially which is why in addition to Yoga-urt, I have kept a full-time job this whole time. People ask me all of the time how I do both, and my answer is it’s not healthy and I don’t recommend it. All I do is work. I’m struggling to find some balance in my life and I’m inching closer very slowly. Another challenge was growing our customer base. Yoga-urt is located in a very cute village, but it is not a high traffic area. 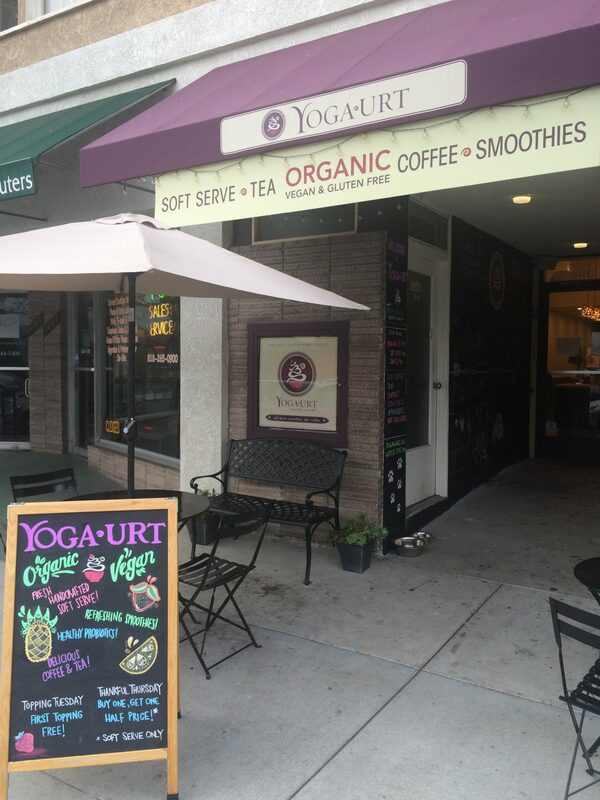 And with no one knowing what Yoga-urt was when we first opened since it was a new brand, I had to get the word out. Yoga-urt has slowly built up our customers through mostly social media, festivals, and word of mouth, but it took a while for people to find us. The list of challenges is endless, which is why you really have to believe in your business. So, as you know, we’re impressed with Yoga-urt – tell our readers more, for example what you’re most proud of as a company and what sets you apart from others. 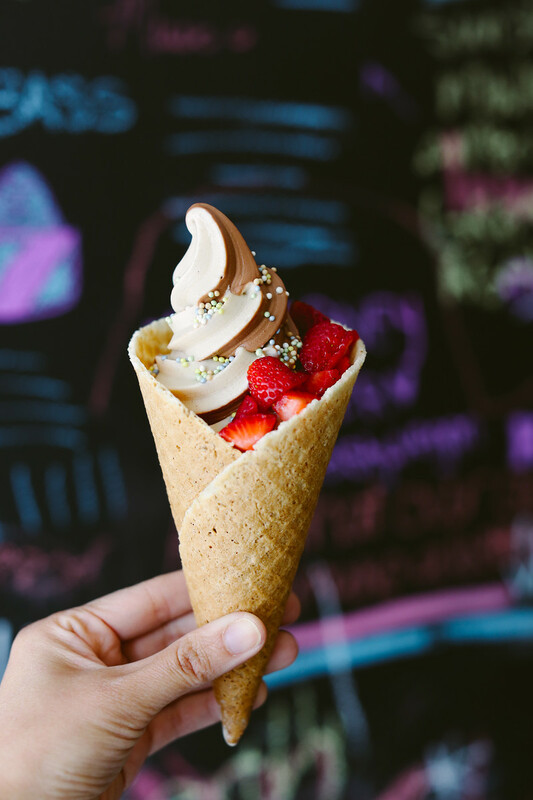 Yoga-urt is L.A.’s first all organic & vegan soft serve shop. 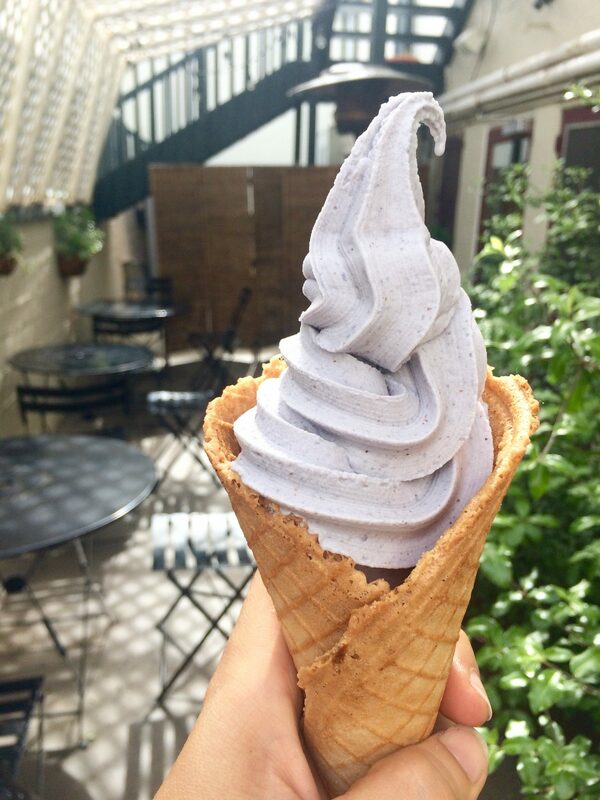 Located in historic Kenneth Village in Glendale, CA, Yoga-urt makes our own delicious creamy nut-based soft serve in house, using all organic, vegan, soy free, and gluten free ingredients with no artificial flavors or preservatives, and added probiotics. We also use all biodegradable cups, bowls, spoons, and napkins. 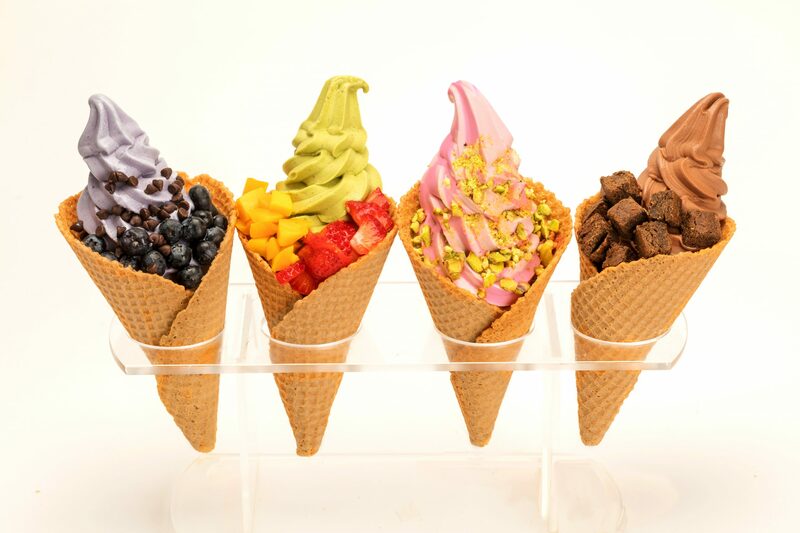 We offer 6 flavors at a time including Chocolate Bliss, Strawberry Serenity, Salted Caramel Zen, and Coffee Karma, rotating a few flavors every week or so. We also offer smoothies, banana splits, kombucha floats, brownie shakes, iced tea, iced coffee, custom pies, and more. Yoga-urt has a peaceful ambiance including a Zen back patio. 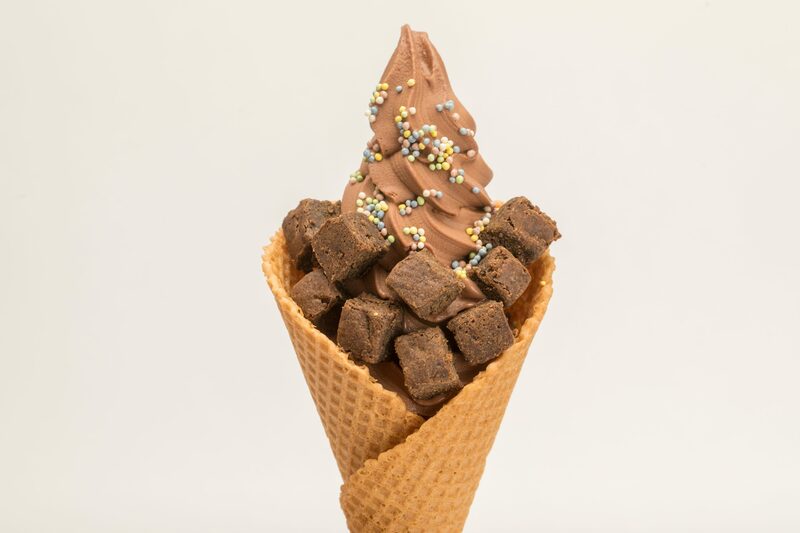 We are unique because not only do we offer a clean product that is very allergy friendly (besides nuts), but our soft serve tastes delicious. I always say the magic of Yoga-urt is that it doesn’t matter if you are vegan or not, it’s just really good. 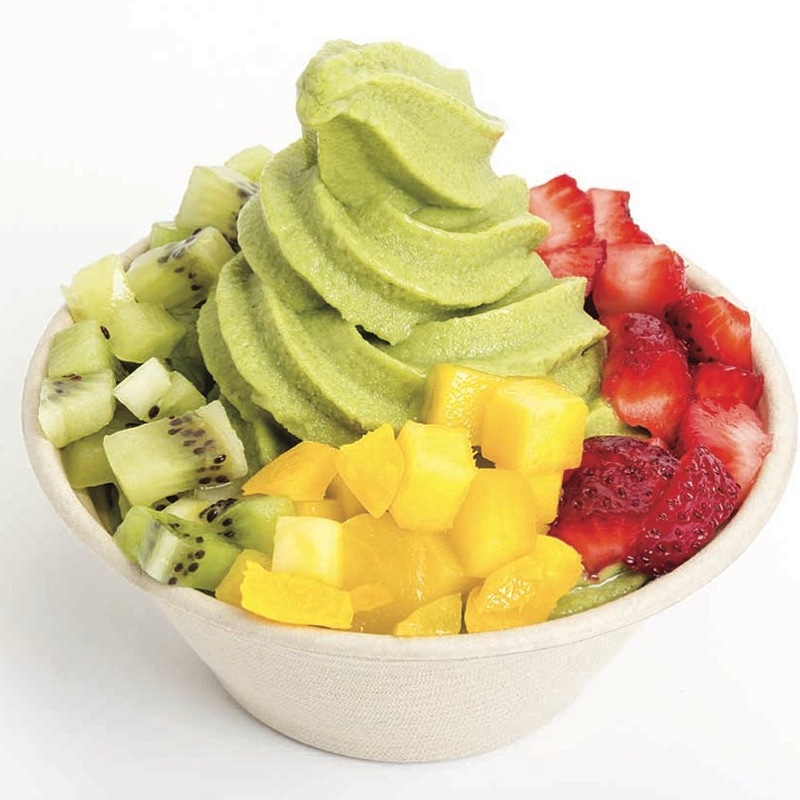 We offer a healthier alternative to the typical frozen yogurt/ice cream store, even including our carefully chosen toppings and made in house sauces. It was definitely a risk to go all vegan with my store, but I am so proud that the public has embraced us – both vegans and non-vegans alike. In fact, we were voted Best Frozen Yogurt/Ice Cream by readers of Glendale News Press for 2017. I am also proud that Yoga-urt makes people happy as that was my original goal. As for the future, the dream has always been to have multiple stores. I want to spread the Yoga-urt love to everyone. That is the goal and I know it will happen, but like every part of this journey, I don’t know the timing. I’ve come a long way though so I have faith my dreams will come true. I’m also looking into shipping our pints nationally in 2018. In the meantime, I continue to try to make our store in Glendale the best it can be. The Yoga-urt team will create some new flavors in 2018, do some select festivals to introduce our product to more people, and continue to expand our menu. We just started making Yoga-urt pies that made their debut for Thanksgiving. The pie crust is made from the almond pulp/flour from our soft serve, and then filled with our soft serve and toppings which makes them really unique, healthy, and delicious. We’ll see what we come up with next!